Keywords have always been the lifeblood of the success of any web site. If you do not focus your writing around keywords, provide useful content related to these keywords, your blogging success may be limited. 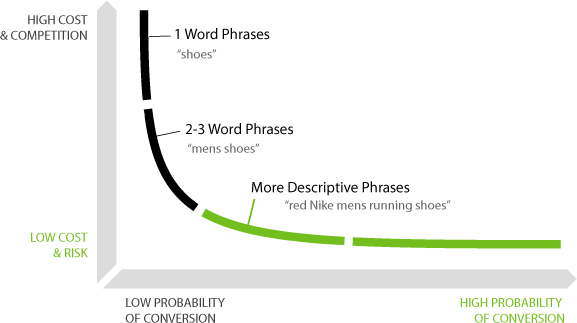 This page is about evolving long tail mobile keywords vs. much shorter keywords. The chart on the left indicates the cost/ competition vs reward for short vs. long tail keywords. Many bloggers over the last few years have focused on long tail keywords. They do this as a method of carving out a niche for themselves. They found the short keywords just too competitive and too expensive to include in their work. 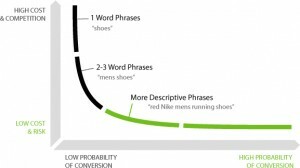 Now long tail keywords are evolving once again with the introduction of mobile. Previously when you searched for something using a longer phrase, search engines would deliver SERPs based on the apps that were installed on your phone which was somewhat limiting in terms of the total content available. Now they are delivering SERP’s based on the total content available even if you do not have the app installed on your phone. This is good for searchers, and it is good for app developers. It does mean that there will be more competition and that many apps will need to focus on having content with long tail keywords that they previously did not have in the past. More to come on this particular project. What is blackhat SEO? 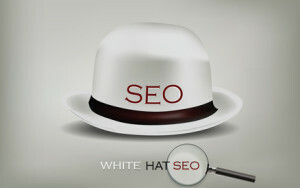 And what is whitehat SEO as well? Why should you follow one or the other? It turns out there are some very good reasons why web bloggers should follow a high quality content approach to ensure that SERP results deliver the kind of traffic they are looking for. Afterall if your web pages are not on the first or second page of the SERP results, the chances of a reader clicking on your URL is very low. Traffic will decline and whatever your objectives are for your website will not be met. Quality content that does not over utilize keywords and has rich meta tags focused on addressing a customer or readers needs is going to win out in the long run. The search engines are really focused on delivering search results that are high quality. If you are not meeting these guidelines, then your website results will suffer. Blackhat SEO is focused on techniques such as keyword stuffing, links to just about everything and often poor content. If you are following these kinds of approaches, there is a really good chance that your posts and your entire website is going to be penalized by the search engines. If your site is placed in the penalty box your traffic is going to fall like a stone. Stay focused on high quality content, a few appropriate links, a small number of focused keywords and make sure your meta tags are included. Remember you are writing for your customer and attempting to help them address whatever question / issue they have. Your following whitehat SEO techniques as you prepare, write and load original high quality content. Now all you have to do is sit back and watch the traffic flow into your web site. This could not be further from the truth. The reality is that you should regularly Upgrade Your Blogs Targeted content to ensure continued traffic demand and growth. Why should you do this. We will explore some of the reasons in the following narrative. It is actually much more than upgrading your blogs targeted content. Content des become out of date. New information becomes available, products are upgraded, services change and the way you display your company’s information can change. All of the content on your web site should be reviewed on a regular basis to ensure it is current. Another reason to update content is to let the search engines know that your content is fresh, that it is current and that you are paying attention to it. One of the factors that search engines take into account is how old the page is and whether the content is fresh or not. Search engines update their algorithms on a regular basis. Most bloggers pay attention to these changes and will adjust content they have previously written to ensure their content, keywords and meta tags are up to date and not generating any penalties. One last reason is mobile. Just about everything is going mobile these days. Tablets, various sized smart phones and large and small screens are being used. But mobile is clearly making the most gains. Web bloggers will need to ensure that their content is always meeting the requirements of mobile viewers. Upgrade Your Blogs Targeted content on a regular basis. Establish an upgrade program so that your site never gets behind. The world is quickly moving to a mobile world where the majority of web searches, browsing and viewing of content, eCommerce etc is being completed using mobile devices. If your website cannot be viewed, cannot be read using a mobile phone, tablet or net book, you are going to miss a huge market. SEO mobile website development consideration should be part of every websites plan. In fact, if you are not designing a web site for mobile, you have already lost the war. Not only web sites need to be considered. All apps are now being developed with mobile devices in mind. Whether it is a smart phone, a tablet or a netbook, your apps and web site content needs to be flexible. It needs to be presented to meet the technology being used to view this content. Initially that meant that content needed to be re-purposed so that it could be read on a small screen. This meant effectively two or more sites,. Each with the same content delivered to different devices. Very difficult to keep in sync, both in functionality and content accuracy. Designers today are building content and functionality once. 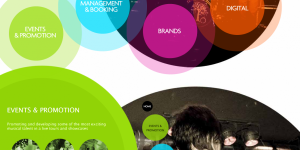 They use a presentation layer to deliver the content. It is delivered in the proper format for the device being used to read the post. This is the way WordPress and other content management systems are now working. When someone comes to a website to view content, information is sent answering the basic request. As well as indicating the type of device that it will be presented on. With the appropriate app installed as part of the WordPress content management system, the content will be presented to fit the screen of the reader. This site currently uses Jetpak and one of the apps resident in Jetpak to configure all content in the appropriate manner for the device used to read it. Readers will spend less than a second looking at content that is too small for them to read before moving on. Don’t waste an opportunity, prepare your site for mobile viewing. For more posts about business websites, click here. There is no question that good content is the only way to go when it comes to creating a website. Whether you are writing to advertise products or services, always write content for your readers. Your customers need to be able to figure out what you are selling and why they should consider taking the next step with you. At the same time bloggers know that unless they have great content that meets SEO guidelines, that content will never be found, much less presented to your potential readers and customers. 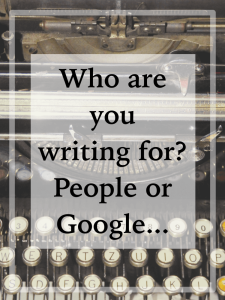 Bottom line to the question in the picture is that you are writing content for your readers i.e. people and also the search engines .i.e. 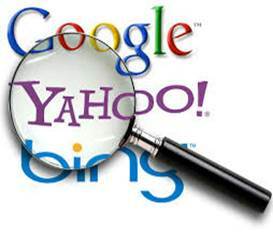 Google, Yahoo, Bing and a host of lesser known search engines. Writers, bloggers and website owners, including this site need to find the right balance between content that is interesting to readers as well as achieves a high enough indexing level by the search engines for them to present your site to people searching for services or products that your company provides. If your site is on the 5th page of search results, there is little probability that readers will ever go to your page. 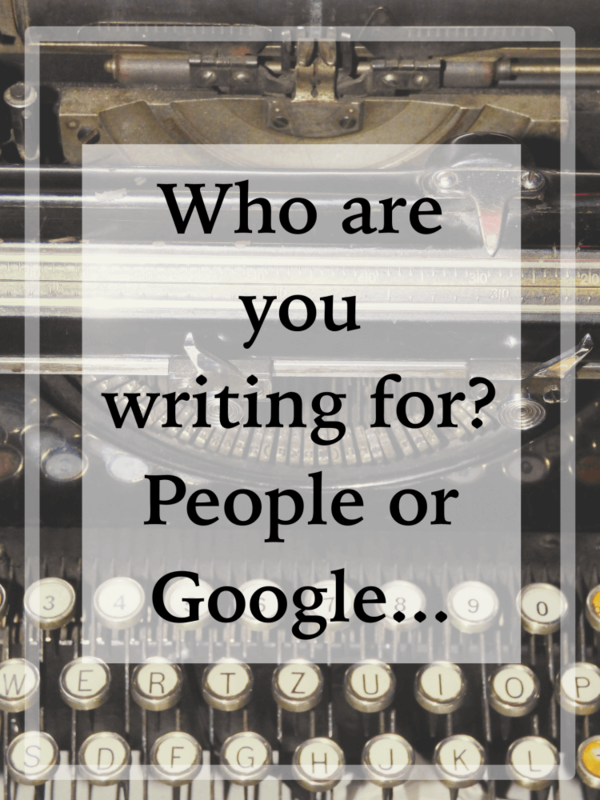 If you are not blogging, focusing on keywords etc, then your pages will not be indexed. Studies show that when you incorporate blogging into your mainstream marketing activity they derive 13X positive marketing return on investment. That is pretty significant and difficult to ignore. If you are thinking about blogging or need help with your web site, let us know and we can develop a blogging program for you at reasonable prices with relevant keywords. For more information about optimizing your site for SEO, click here. The company’s website should be designed and approved by the marketing team or manager since it is this site that is the outward facing image for your company for the online community. 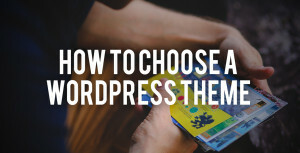 Customize A Marketing Guide to Choosing a WordPress Theme. Your customers will form an impression of your company based on the look of the web site. Also the operation of the site and also the content of the site. If it does not look great, they may not stay. If it does not have the information they are looking for, they may move onto another site. You want them to stay on your site, browse your products and services. Hopefully select a product or service or at least contact you for more information. We cover a few of the issues that marketing managers and web masters need to consider. 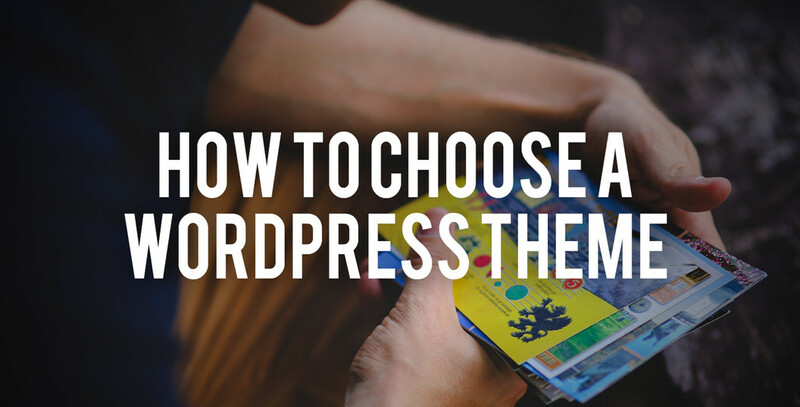 Choosing a WordPress theme is one important area. Before you even look at themes, determining your website goals, your current and future needs are at the top of the list. WordPress is a powerful content management system with thousands of themes and just as many plugins that provide a great deal of functionality. Once you have define your goals etc, assess themes in terms of whether they will help you meet these goals, current needs and whether they can support your planned future needs as well. Does it keep pace with current digital trends? Innovations? and marketing trends? Can you are someone on your team update the theme to match these needs. Do you have access to developers with these skills. Or are you at the mercy of someone who updates the them from time to time. Is each update a surprise? SEO, customization and website speed are extremely important attributes that need to be constantly managed. SEO will help you get indexed by the search engines, customization will keep your website fresh for your customers and response time will keep them on your site, reducing the bounce rate. Everyone is using mobile devices, smart phones, tablets etc. Adapt your site to mobile friendly browsing. If not you are probably going to lose a great deal of traffic. Can your theme be integrated with other software? Do you need this functionality? 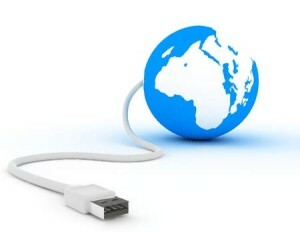 Lastly will you have the support in place to perform updates, to add functionality and to respond to customer issues? We have covered a great deal of issues and items to think about in this post. Give all of these issues a lot of thought. Introduce a web site with the best theme you can find. Marketing Guide to Choosing a WordPress Theme can also be updated as needed as well. Fortunately WordPress allows an easy transition to different themes for testing purposes. Pick the right theme to maximize your chances of success with your website. Do you have bad content on your website? What is bad content and how do you identify it? Many web site owners do not even realize that their content might be considered bad, who gets to decide if content is bad or not. Turns out there are two major groups who will decide if your content is bad and they both will have a significant impact on the results that your web site is intended to deliver. Results meaning traffic to your web site and customers that convert to revenue for your business. Get Rid of Bad Content Now. Who are these two groups and how do you identify them? What can you do to fix the bad content and how do you verify that the results you are looking for are being delivered to your web site. We will try to answer these questions and more in the following narrative. Anytime you have content that is original, well written, uses keywords and phrases that people might search for, is regularly updated and kept current, you probably have great content. Web designers get into trouble when their content is copied. If it is old and out of date and the web site is not easy to navigate it can be bad. There are many more criteria, however these are probably the main ones to focus on. Well it turns out that there is an obvious group and one not so obvious. The obvious one is your customers. If they are not finding what they are looking for, they may tell you and if they do you had better do something about it. The other group is the search engines. They use their private algorithms to rate and index your web site pages and then rank you in search results. If you have bad content in their estimation, your web site will be well down the list of search results. Chances are people searching for subjects you cover will never be seen by them. Your regular addition of new content based on new products and services will keep your content looking fresh. It will be up to date for the search engines and your customers. Small business needs never seem to end. The owner / operator can be stretched really thin in terms of time as well as financially. They need to keep their business going and expand it to grow sales. They must also provide support to existing customers. 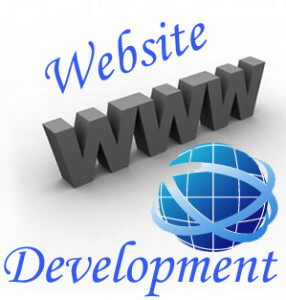 It can be tempting to develop your own website yourself and interesting as well. But is this something that you really want to take on in view of all of the other things that your small business needs to address? If you do not have the knowledge, you have to learn it and still invest the time to do all of the other things a small business start-up needs. We ask this question because we can add a small business web site for you with little expense, have you up and running quickly and provide the right structure to allow future expansion as your time permits and company success demands. We can add a small web site with five pages covering the basic information all companies need to get you started. These include the main company web page that describes who you are and the services and products that are offered. Next we have an “about” page that provides a little more information about you and your company. A contact page for people who need to get in touch by phone, email or even snail mail if desired. We also include two more pages or posts that can be used to describe products or services in more detail. These pages can be used for anything that is desired. Of course you are not limited to just 5 pages. You, your employees or ourselves can add more posts as needed to the web site and needed. Many customers will have a page providing a list of frequently asked questions. This helps their customers find the information they need without having to contact you and take both their time and yours as well. As your company grows or you add more products, you or your employees can add pages as needed. If you would prefer we can add additional content as well on your behalf. We just need the basic information and instructions regarding anything specific that you need. Adjustments are easy to perform and can be accomplished by either party. Feel free to contact us about setting up you small company web site today. We can have one set up for you in no time at all with your company logo, pictures and text etc. 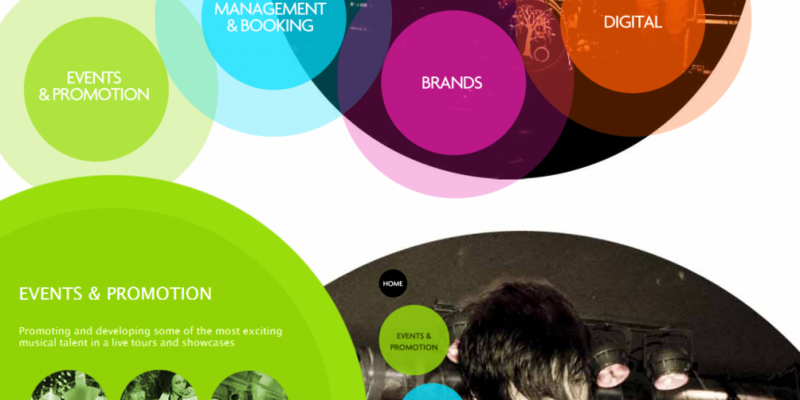 The Best Business Web Sites are not often the really glitzy sites. They offer what the customer is looking for and they inspire confidence in the company. The definition will be different for each company depending on the services and products they sell. In our opinion there are 4 main attributes that a web site needs to have in order to be one of the best business web sites. We will review each of these attributes in the following post, however one item that is implied throughout is that they all have great high quality content. This is one of the more important attributes to have both for your customers as well as for indexation by the search engines. Your readers are looking for information that can help then solve whatever problem or issue they may have. The search engines look for high quality content as one of the factors they use to ranks web sites. If your web site does not rank well, few people are going to come to your site since it will be way down the list of search results presented by the search engines such as Google, Bing and Yahoo. Fresh high quality content is definitely the way to go for your customers as well as the search engines. One of the main objectives and goals of a web site is to clearly communicate the services and the products that the company provides. This is what will provide to your customers a clear message about your company, your staff and provide information for your customers about the industry that they are in. Many web sites do not have the capability to allow customers to make direct purchases from the web site. Or pay for those purchases and also arrange for shipment. In some cases depending on the product, all of this can be automated. Unless the customer requires support of some kind they will not actually speak to a support person. Support is provided via the web site. The site should provide lots of information that addresses the majority of the customers common questions. There should also be a method of reaching a live support person should the need arise. Many web sites will provide a list of frequently asked questions and only after the customer has reviewed this page will they be provided with the contact information to reach a live attendant. Now that you have this website with all or some of this functionality. It is important to have lots of great content that will attract the search engines and rank your content high for a variety of search engine topics. If your customers cannot find you, then your web site will have been built for very little return.